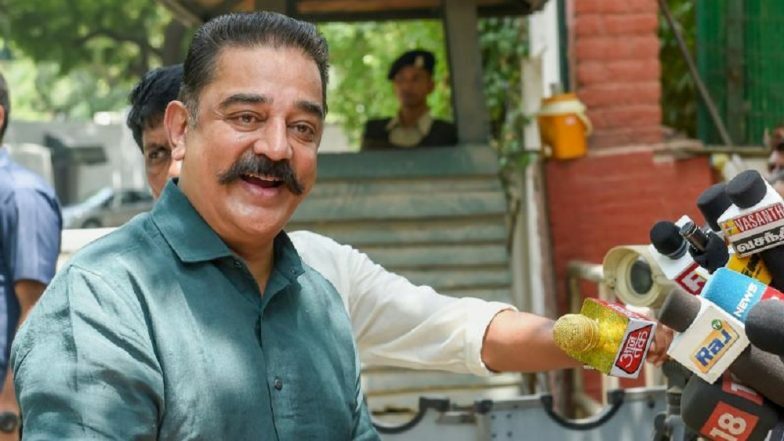 Chennai, March 20: Doctors, advocates, a former IPS officer, a retired district judge, and businessmen figure among the candidates fielded by Kamal Haasan's Makkal Needhi Maiam (MNM) from Lok Sabha seats in Tamil Nadu and Puducherry. Releasing the list of 21 candidates and their constituencies, the actor-turned-politician said the second list will be released on March 24. On the same day, the party will also release its manifesto and the list of candidates contesting in the assembly by-elections in Tamil Nadu, Haasan said. On Tuesday, the MNM announced electoral tie up with Republican Party of India and allotted one Lok Sabha seat and three seats in the assembly by-elections to be held on April 18. Makkal Needhi Maiam Gets ‘Battery Torch’ As Poll Symbol, Kamal Haasan Says ‘MNM Will Be Endeavour to Be Torchbearer in Politics’.